Please accept my resignation from the position of senior editor, effective immediately. It’s not that I’ve been unhappy during my short tenure; quite the opposite. I love the people at Automobile. I love the work we’re doing. And, of course, I’ve had the chance to experience some amazing exotic cars, old and new, that I might otherwise never have had the opportunity to sit in, let alone drive. It’s just that… gosh, I don’t know how to say this, so I’d better just come out and say it. 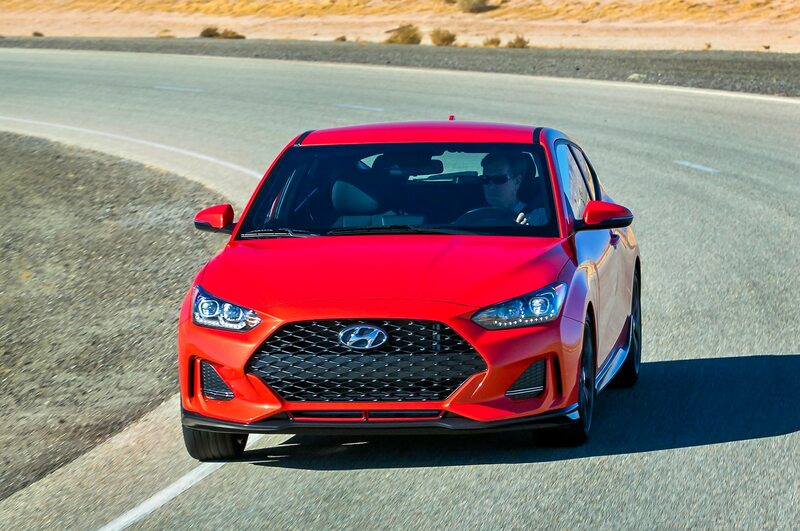 Now that I’ve driven the $24,000 Hyundai Veloster Turbo R-Spec, I don’t think I can do my job properly anymore. 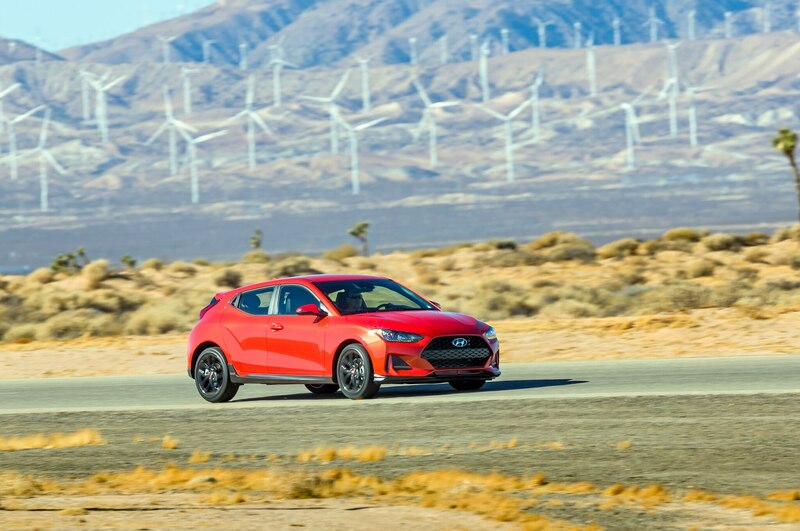 I’m not saying the Veloster R-Spec is the best thing I’ve ever driven. 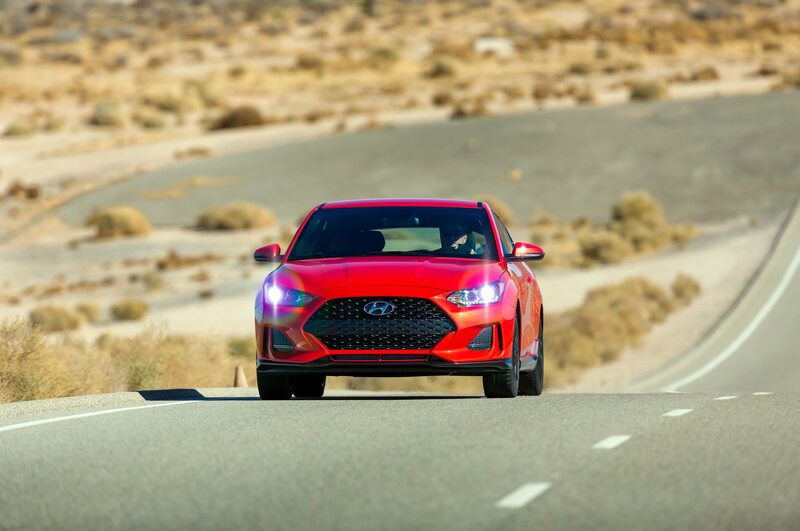 Inherently, it can’t be: As you well know, it’s meant to play second fiddle to the coming Veloster N, which gets more power, adjustable shocks, bigger brakes, and most critically, a rack-mounted power steering motor. 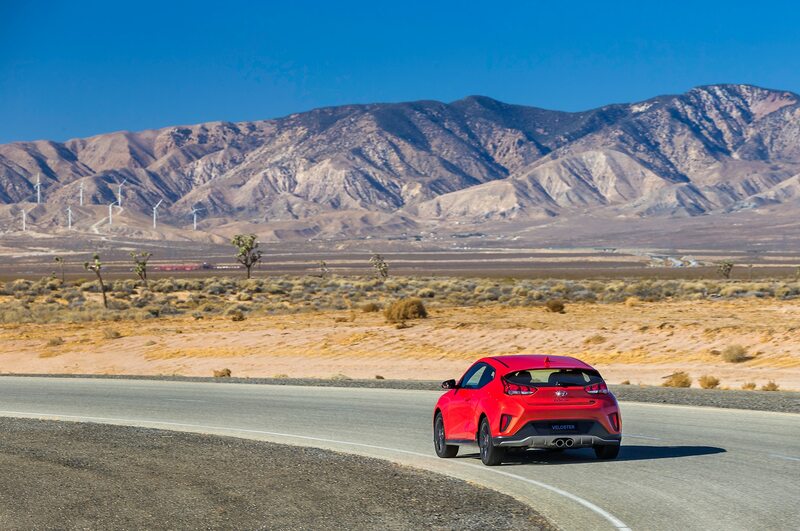 Conner Golden drove the N at the Nürburgring, and—well, you read his review, Mike. He thought it was fantastic. 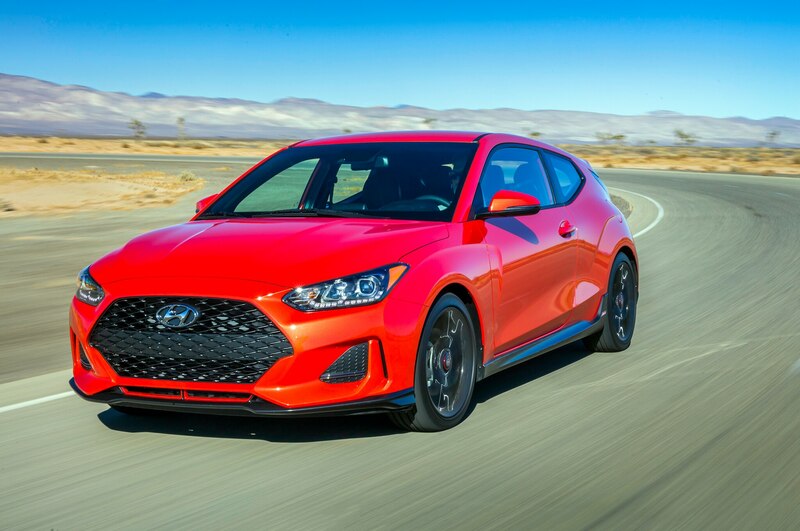 The Veloster Turbo (of which the R-Spec is a sub-set) is meant to be the lesser light, with 201 horsepower/197 lb-ft of torque from its 1.6-liter turbocharged I-4 (ratings, if not displacement, very close to what the Volkswagen GTI offered for years) and the cheaper steering setup with the motor on the column. 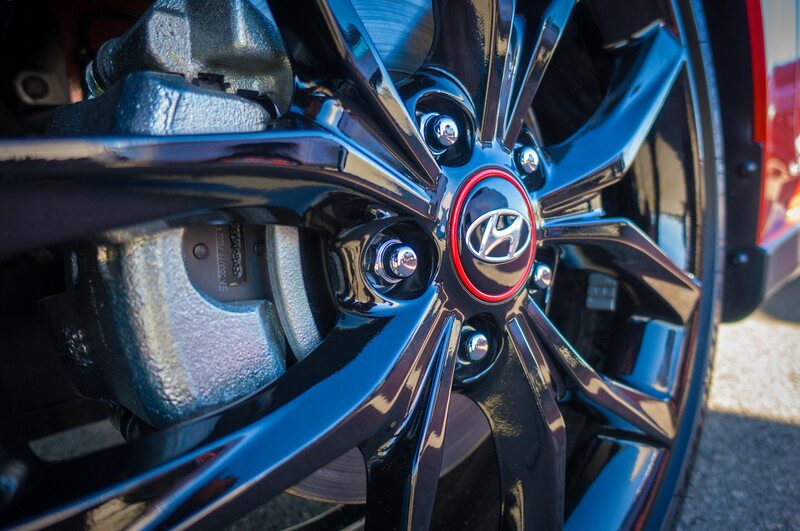 Stick-shift turbos get Michelin Pilot Sport 4S tires. The R-Spec is the enthusiast’s special, a low-cost variant with cloth seats and a manual transmission. 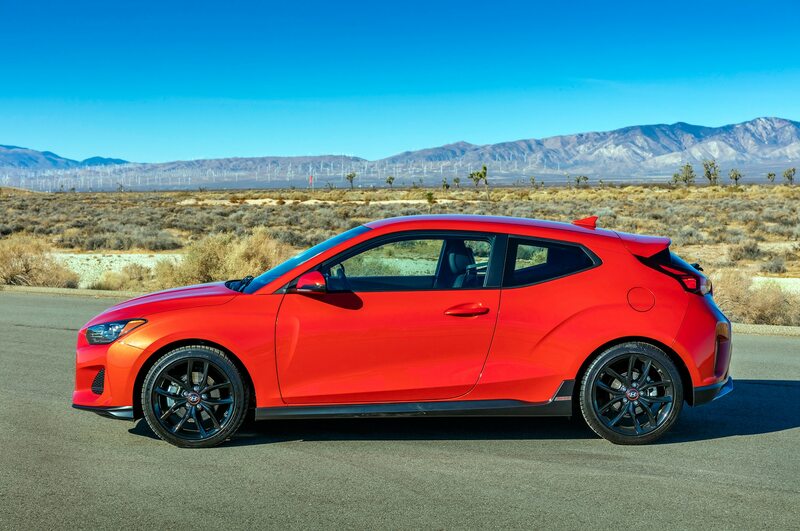 Asking price is $23,785, which is less than a Honda Civic Si, way less than a GTI and couch-crevice change compared to some of the exotics we cover here at Automobile. And it’s brilliant, Mike. Abso-friggin’-lutely brilliant. I can almost imagine the consternation on your face, the subtle furrowing of the brow that it seems everyone of your ilk is required to master before taking an editor-in-chief job. 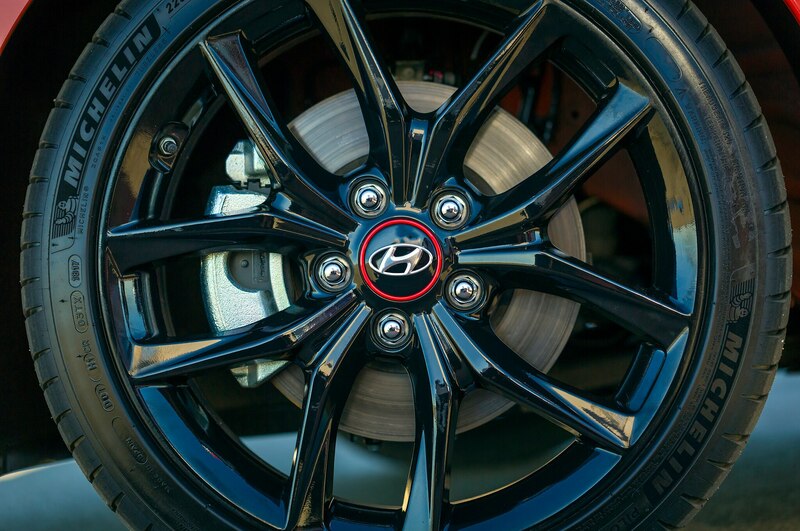 Low-end Hyundais are good, value-laden to be sure, but not brilliant. Well, Mike, this one is. What it brings to the table for its price point almost defies belief. 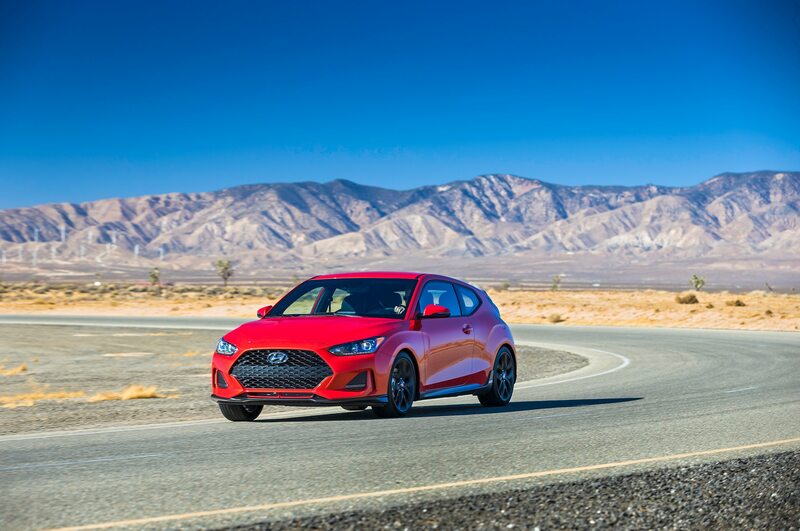 Yes, it exhibits the balky steering feel we’ve come to expect from Hyundai’s cars, although it seems a bit less so in the Veloster R-Spec than other recent Hyundais I’ve driven. 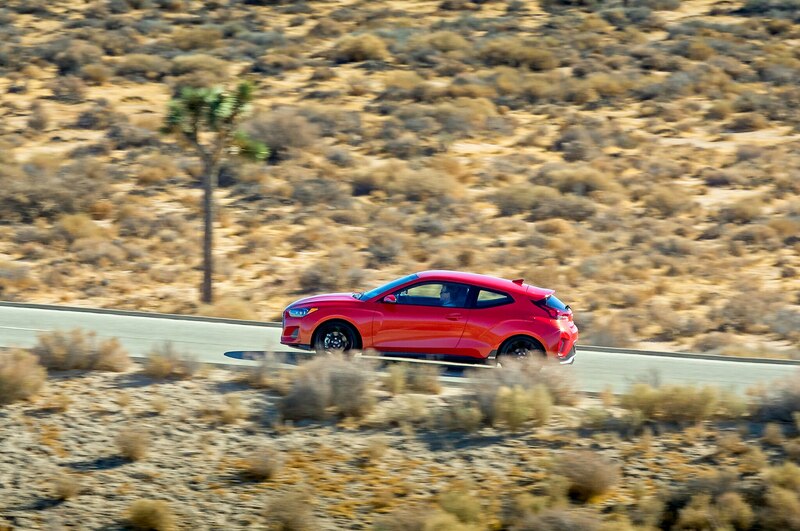 It darts around some on the freeway, but tracks better than I expected. Most of the credit probably goes to the Michelins. 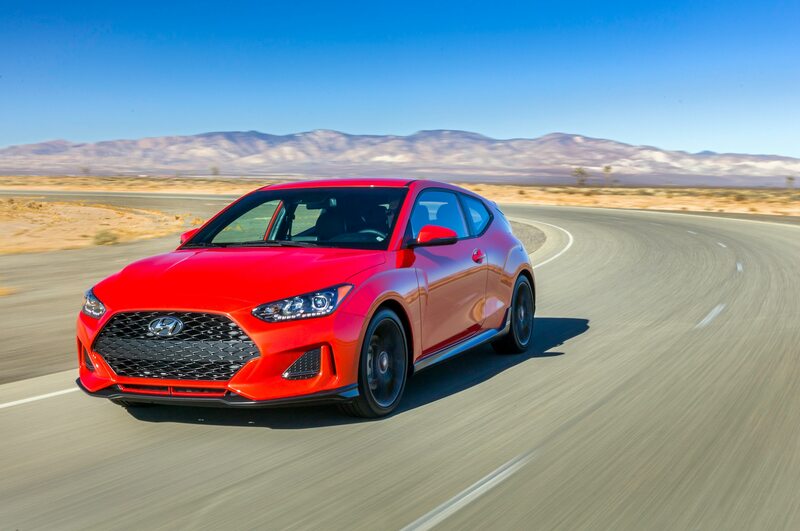 Our social media guru Billy Rehbock drove a higher-spec Turbo model on the press launch—automatic Veloster Turbos get all-season tires—and said that when it came to turn-in and braking, the summer tires made all the difference in the world. But I don’t care about that, Mike. 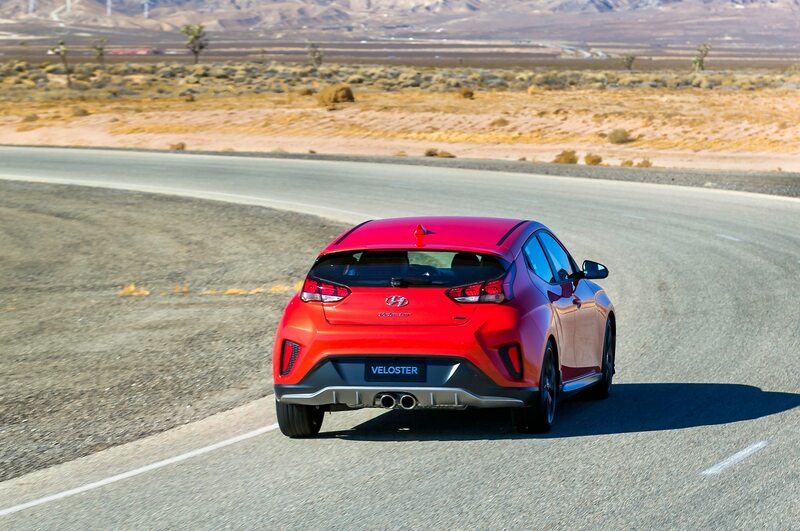 I care about what an amazing time I had thrashing the R-Spec out on the canyon roads. 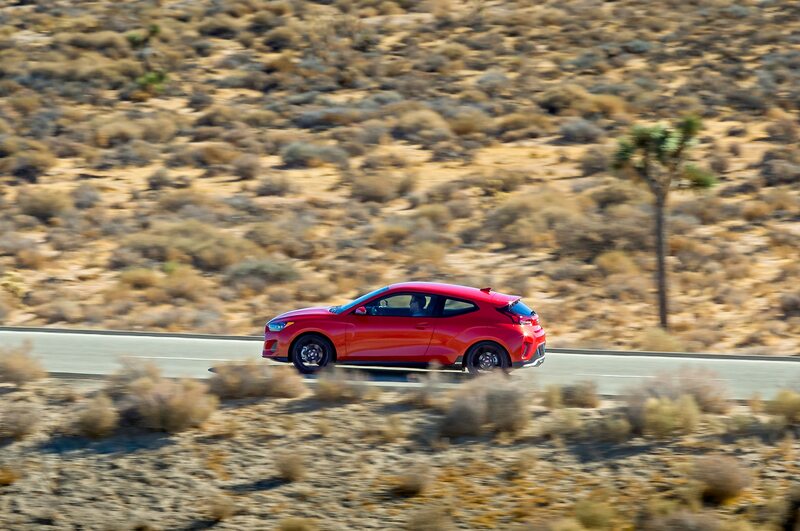 The best part is that you don’t even need to shift gears because the engine is so darn flexible. 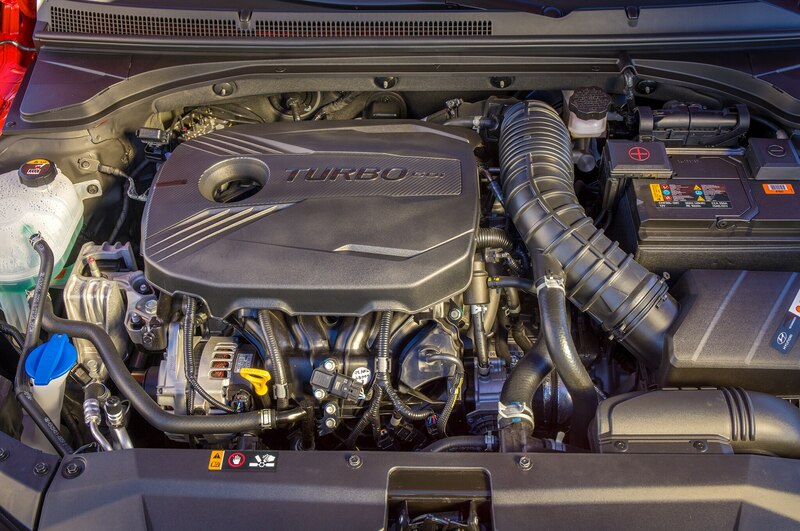 Forget about minimal turbo lag; one can say that about most engines these days. 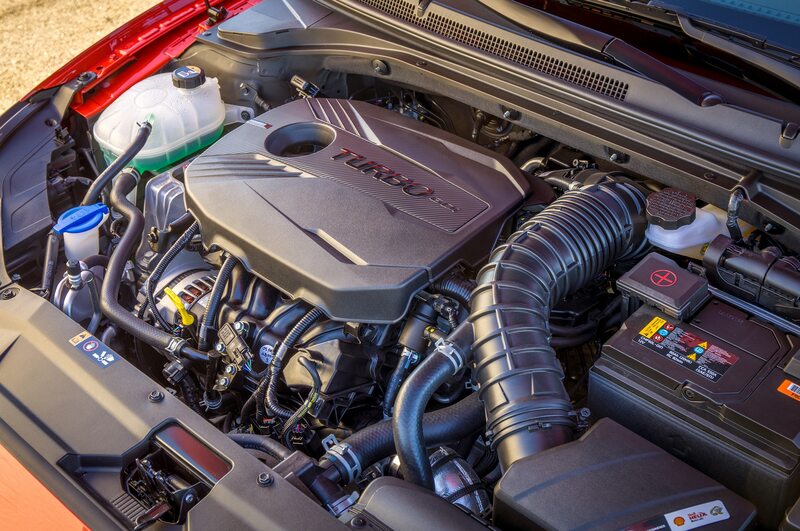 As long as you’re between 3,000 and the 6,500 rpm rev limiter (be careful, it’s a hard stop and not well marked on the tach), you have all the pull you need. On the faster curves, I alternated between grabbing gears and just leaving the thing in third. Both methods worked equally well. 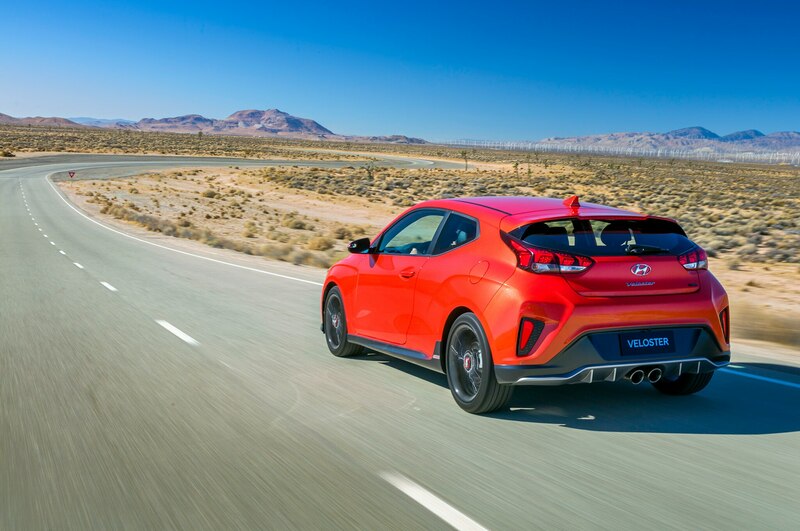 The engine sounds good, too—not as pleasing as a snarly old Honda, perhaps, but not as coarse and unrefined as older Hyundai fours. I even liked the accelerator pedal. 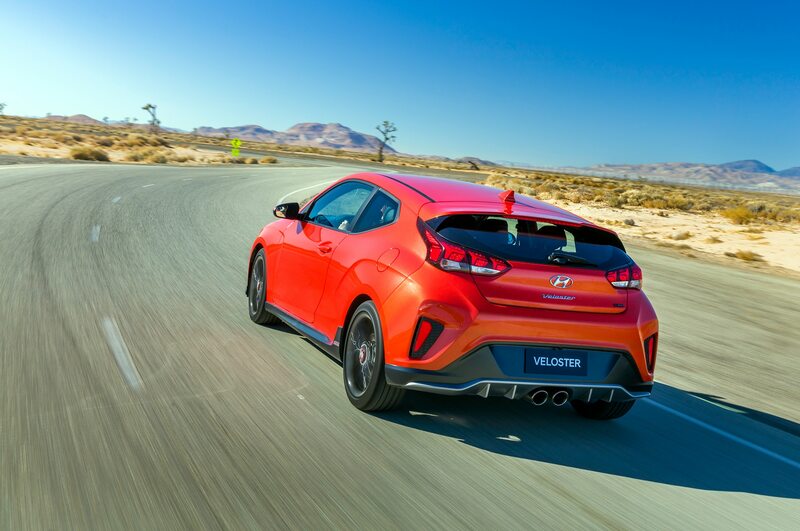 I’ve always thought of remapping the throttle for different driving modes as a bit of a frivolity, but the Veloster Turbo has a well-thought-out setup. In normal mode, max power comes far down in the pedal’s travel. 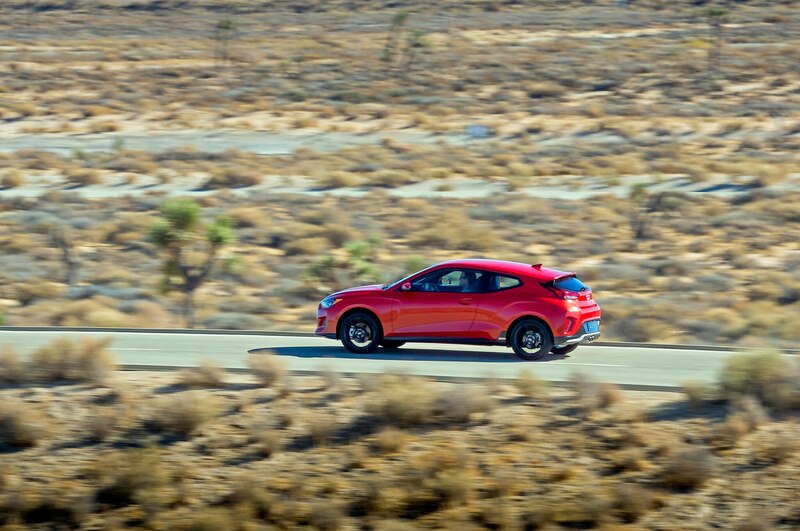 Selecting Sport mode moves it up near the top, but not so far that you can’t drive smoothly. Truth be told, the car works just fine in either mode; I was having so much fun that I forgot to hit the Sport button for most of my canyon drive. But the gentle pedal setup is perfect for more docile cruising. It no doubt contributed to my 25 mpg average fuel economy, which included plenty of curvy-road hoonerism. 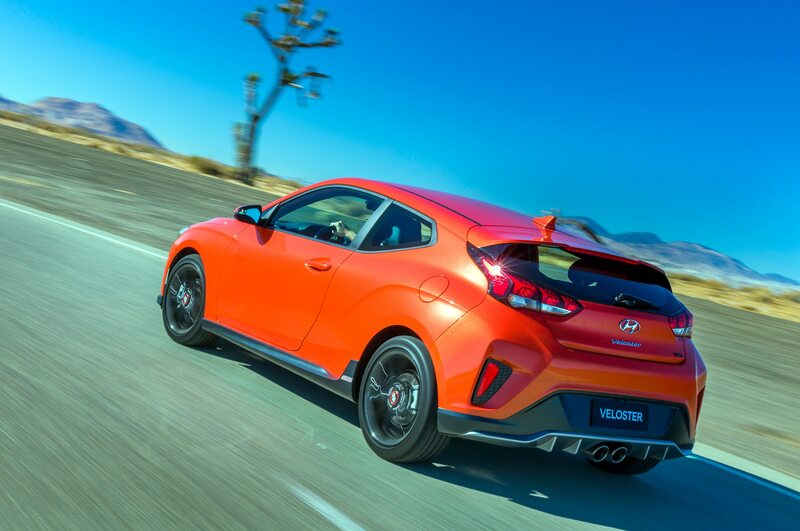 Speaking of fuel, I also like that the Veloster Turbo runs on cheaper 87-octane gas, an important consideration for me what with my impending unemployment. But as with any car, it’s not the individual bits and pieces but rather how the whole thing comes together. 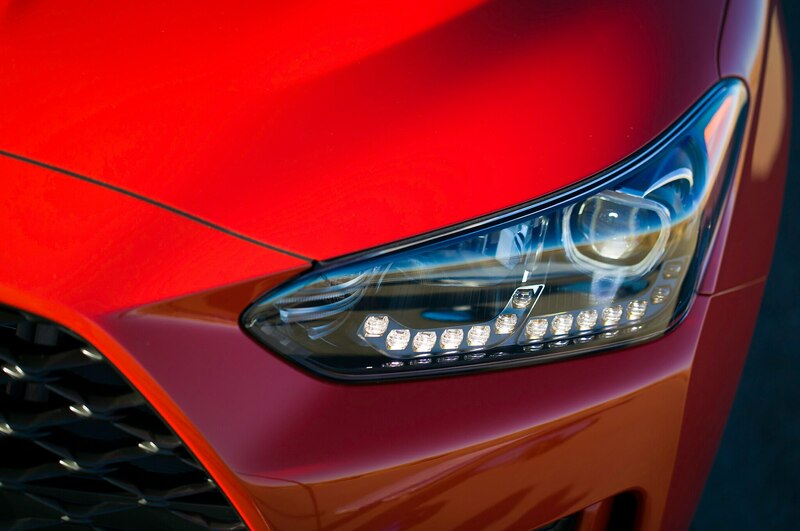 And that’s where the R-Spec really shines. 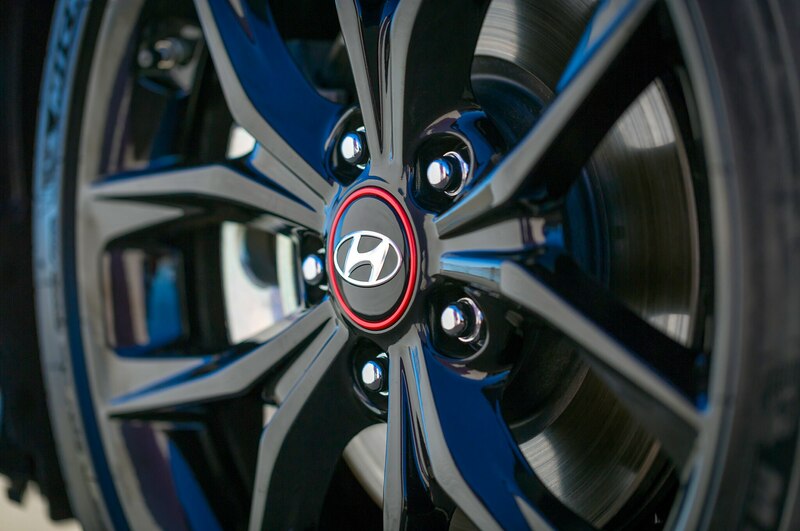 The suspension is better than anything I’ve experienced in a front-drive Hyundai. 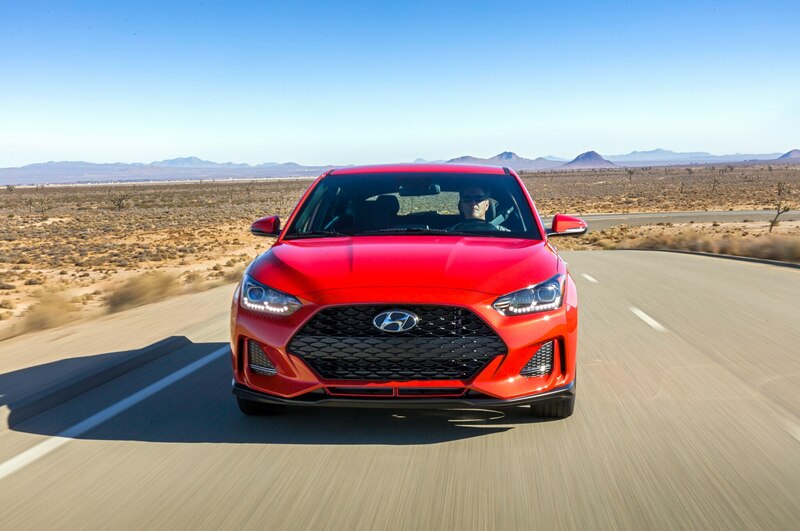 (Actually, that’s not entirely true; the Elantra GT is hot on the Veloster R-Spec’s heels, but not quite as good.) 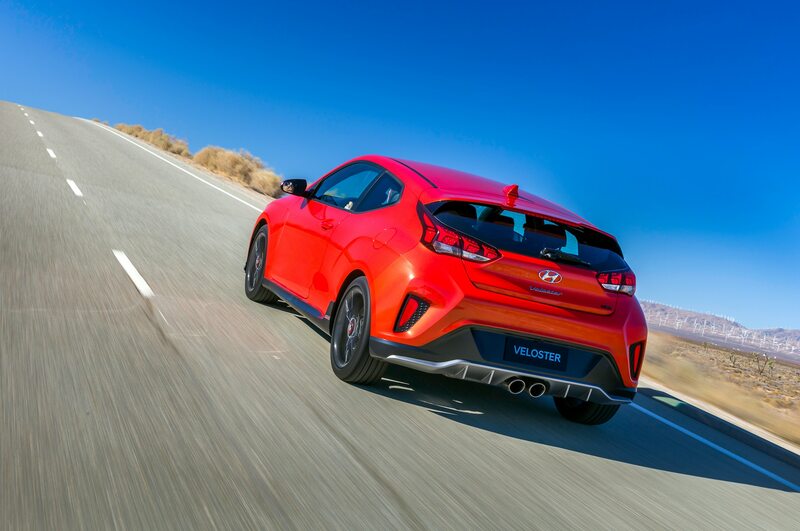 The ride is firm, but not too jarring, and once you turn in, the R-Spec finds its footing and holds pat. And while it bounces around some on bumpy corners, it simply refuses to give up its grip on the pavement. Thank you, independent rear suspension. 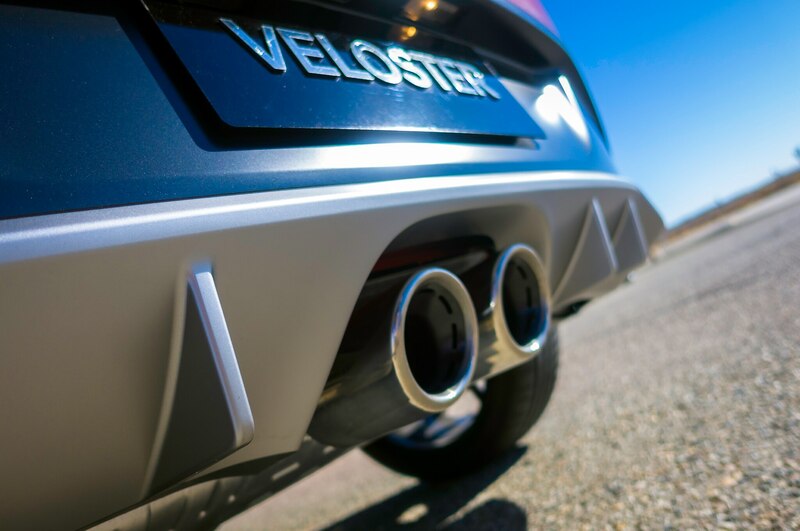 No matter what kind of stupidity I unleashed upon the Veloster R-Spec—pushing too hard into the curves (a persistent bad habit of mine) or not loading the suspension when I knew a dip was ahead—the Veloster steadfastly refused to understeer. If the front end started to step out, the rear end was only half a tick behind. Corner-exit wheelspin? Never a problem. 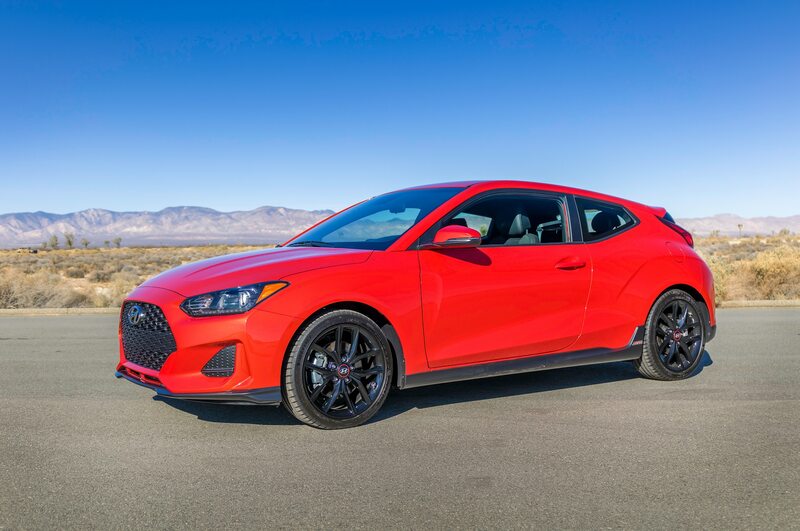 Now, I don’t want to pretend I was driving at supersonic speeds; the Veloster R-Spec’s handling limits are relatively modest, as are my abilities. The afternoon I banged up The Snake on Mulholland, I was sharing it with Evos, STIs, and JCW Minis. I’m pretty sure they were faster than me—or at least they should have been if the drivers were worth the salt in their own tears—but I’m also pretty sure I was pushing harder than they were, and I know I was having at least as much fun. And that’s why I need to quit, Mike. 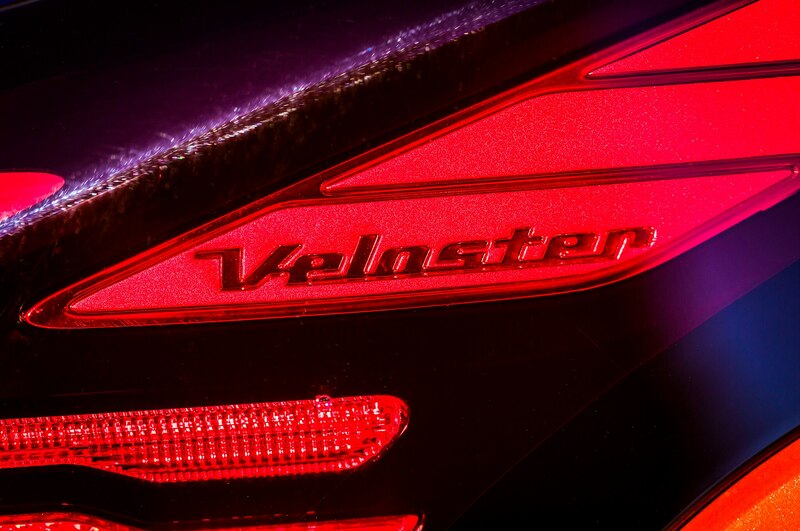 As I said earlier, Automobile has put me behind the wheel of some of the finest cars I’ve ever had the honor of driving. The Lambo Huracán Performante Spyder I reviewed the week before last? A dream come true. Bill Devin’s own Model C? Who else has driven that besides Sir Sterling Moss, the few who have owned it, and me? 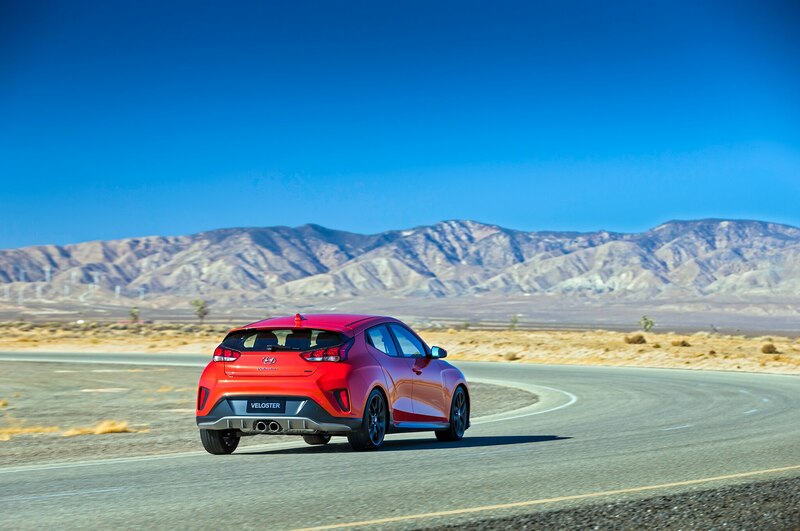 And if I stay, I know can look forward to driving more amazing machines, all true to the #NoBoringCars mantra. But how can I truly appreciate the Best of the Best when I know what I do now about this budget-priced pocket sportster? What will become of me now, Mike? 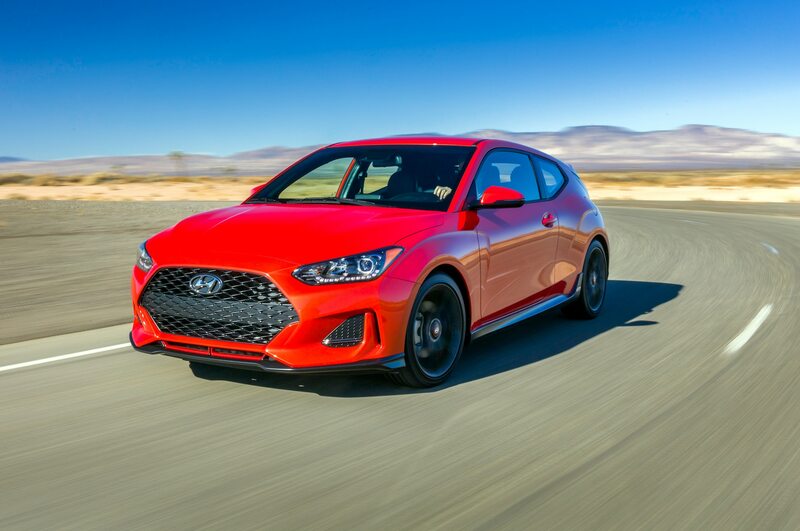 I have stolen the Veloster R-Spec and gone to Mexico. Please don’t try to find me.